So, a recap on the last couple of days, which have been very busy. 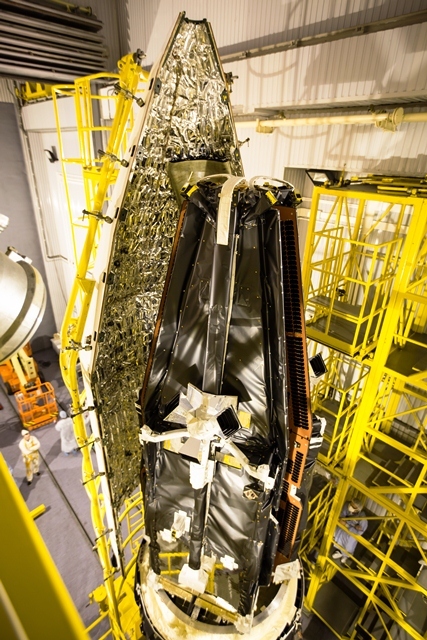 On Sunday, the satellites were safely encapsulated in the fairing – it looked a very snug fit! 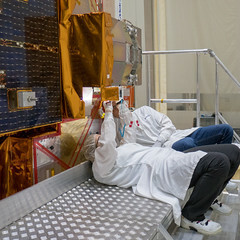 The process of connecting the two halves of the fairing was actually very quick. 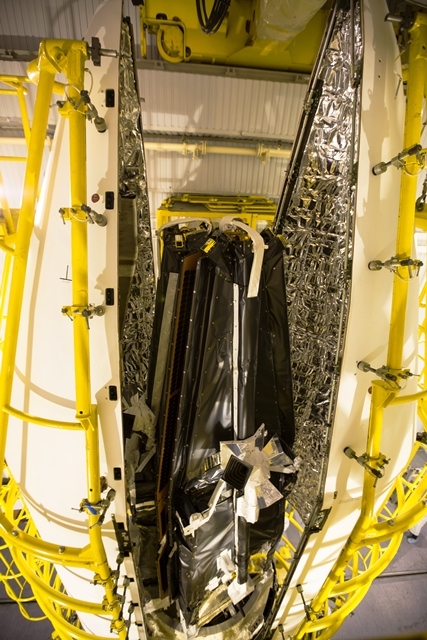 We took our last look at the satellites before the two halves of the fairing were closed and locked together. After a few adjustments, the fairing was lowered onto the Breeze and encapsulation was completed. 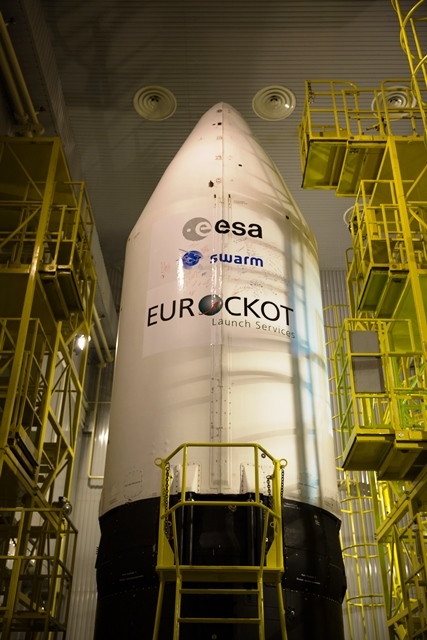 In the evening, once Krunichev had finalised all the work on the fairing, they attached ESA’s Swarm sticker and also Eurockot’s – and we were all ready to sign it! Everyone who wanted to sign the logo had a chance to climb the scaffolding and add their name and best wishes for its journey into space. ESA, Astrium, Eurockot, Krunichev and the Russian Military personnel all had the opportunity to sign. 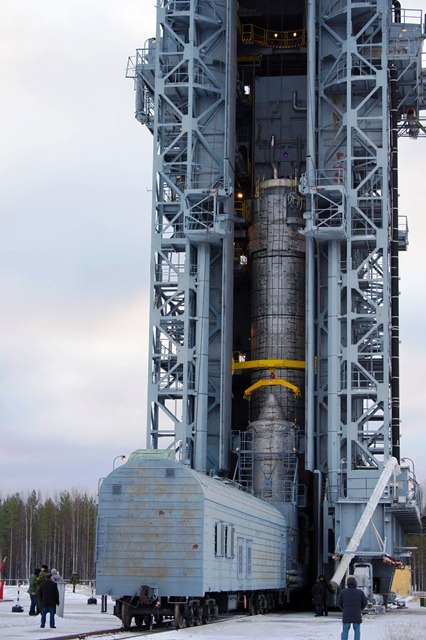 Then, yesterday morning, we headed to the very cold launch pad to see the upper composite arrive by train from the MIK. Despite the icy wind and freezing temperatures, we stood and watched the train being manoeuvred into position in front of the launch tower. 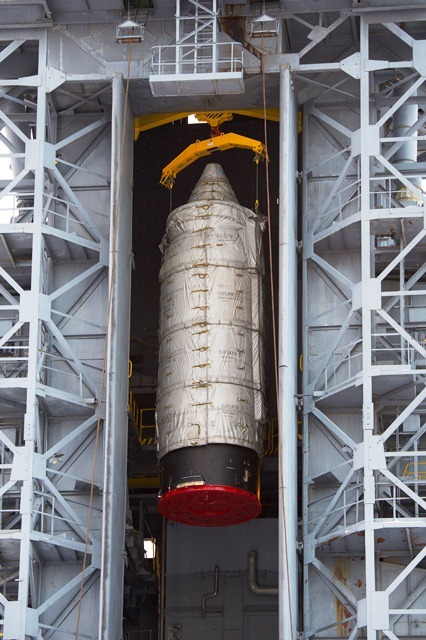 The upper composite was disconnected from the train and lifted to to the top of the launch tower. The doors of the launch tower closed and we headed back to the MIK to thaw out!